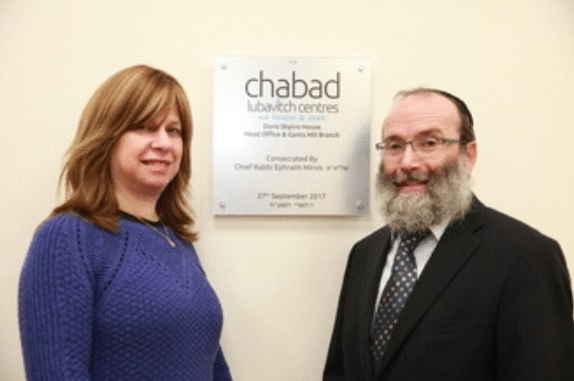 We are delighted to welcome you to our new website for Chabad Southend, a branch of Chabad North East London & Essex. 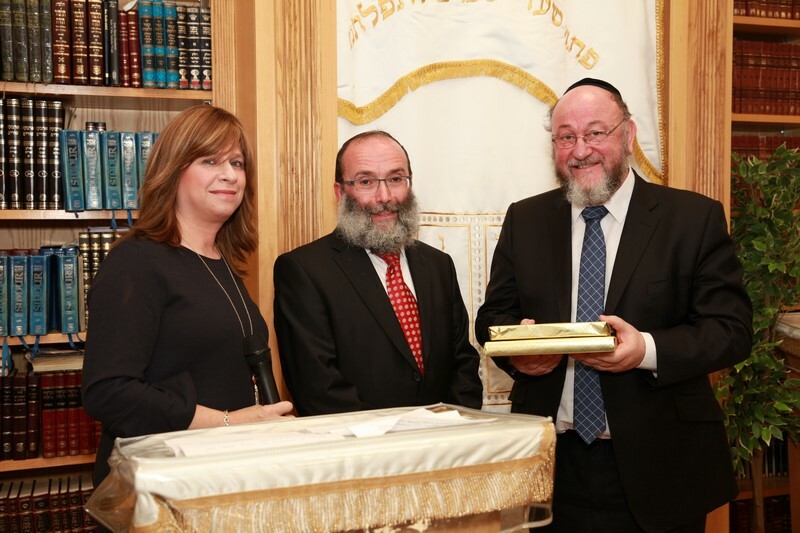 Now in our third year, we have been working in partnership with the Southend & Westcliff Synagogue Community and its leadership, to provide additional educational opportunities from children through adults. – Cheder classes each Tuesday for children aged Year 1 – through to Bar / Bat Mitzvah, with exciting, challenging and fun interactive classes. Innovative reading learning programme tailor made to each child’s ability and level of growth and development. 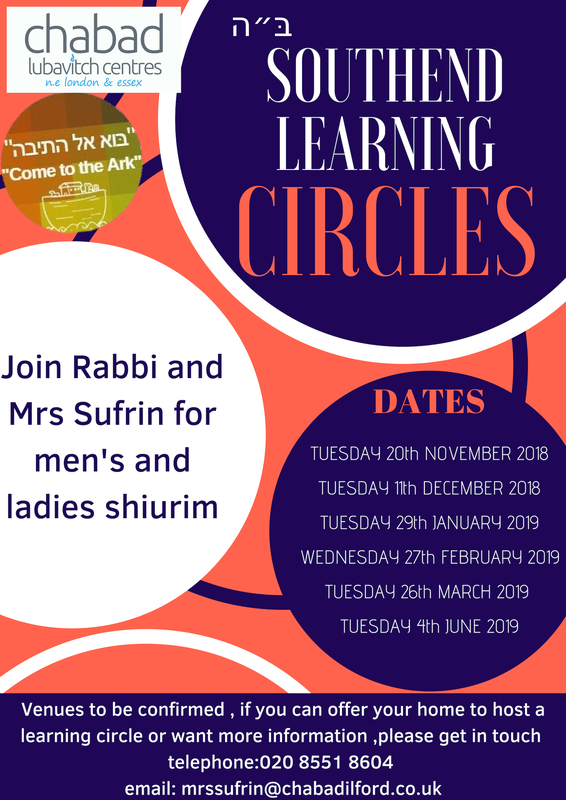 Jewish knowledge taught by way of interactive arts and crafts projects, hands on experiences, all led by Mrs Devorah Sufrin and our Shluchos based in Gants Hill. The monthly discussion groups are hosted in private homes. If you would like to host a meeting or find out more please contact us. 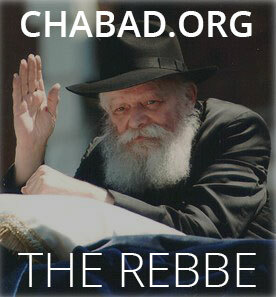 Chabad N E London & Essex currently has three Cheder opportunities for your children each week accross Essex. 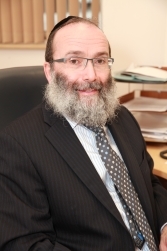 Sunday @ Chabad Gants Hill, Tuesday @ Westcliff & Southend Synagogue, Finchley Road, Southend. Wednesday @ Chabad Buckhurst Hill. We are continuously looking at ways of enhancing Chabad’s educational & social services for the Community and look forward to sharing more with you as time goes on. This Friday night the long awaited Pesach Festival begins. If you are still looking for an interactive enjoyable Seder, there is a place for you at one of our Chabad centres. (check our websites for details). Have you ever wondered why in the paragraph called “Ho Lachma Anya”….”This is the bread of affliction” during which we declare, “All who are hungry, come and eat; all who are needy come and celebrate Passover.” Being that the Seder service has already started and we are all sitting comfortably, the only people hearing it are those who are already there. What is the point of making grand invitations when the truly needy can’t hear it? Perhaps this invitation is not your usual “inviting guests on the outside” kind, this evening we are inviting ourselves and the people around us to really be present at the Seder. While we may be sitting at the table, our minds can be miles away. But then we may miss out on the most powerful spiritual journey – the Seder. Each one of us is hungry, and we are all needy. We have a soul that hungers for nourishment and inspiration, and we all feel a profound need for our inner self to be freely expressed. Our soul yearns to love, to give, to contribute to the world and to connect to G‑d. But our soul is sometimes trapped, surrounded by obstacles to its being free – scars from the past that cripple us; fears that prevent us from opening our hearts; bad habits that waste our time and divert our energy; toxic relationships that we have become dependent on; negative attitudes that darken our vision; egotism and complacency that stunt our growth. We are stuck in our own inner Egypt, with these internal slave-masters holding us back from becoming who we are supposed to be. Like Pharaoh of old, our ego doesn’t want to let us go. Even as we sit down to the Seder to read the story of the Israelite Exodus from slavery, we are still slaves. So at the beginning of the Seder we invite ourselves to really come to the Seder and experience freedom. Don’t let yourself be enslaved to your Egypt any longer. “Whoever is hungry, come and eat. Whoever is needy, come and celebrate Passover.” If you hunger for inspiration, come and absorb the Haggadah’s message of liberty. Don’t just sit there – enter into the Passover experience with your entire being. Read the story of the Exodus, taste the Matzah, the food of faith, and drink in the wine of freedom. Wishing you and yours a Happy & Kosher Pesach, enjoy discovering the truth of freedom with your family and friends.